Hunger is on the rise, according to the United Nations. In 2017, the number of undernourished people is estimated to have reached 821 million – around one person out of every nine in the world. Undernourishment and severe food insecurity appear to be increasing in almost all subregions of Africa, as well as in South America, whereas the fight against malnutrition has come to a standstill in Asia. 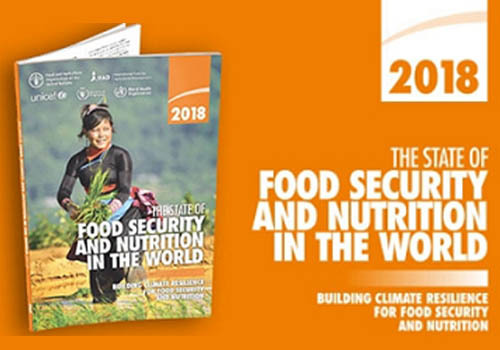 Earlier gains made in ending hunger and malnutrition are being eroded by climate variability and exposure to more complex, frequent and intense climate extremes. Hunger is significantly worse in countries with agricultural systems that are highly sensitive to rainfall and temperature variability and severe drought, and where the livelihood of a high proportion of the population depends on agriculture. One of the measures put forward by the UN is improving access to improved varieties for farmers working in these regions. Shifting to drought-tolerant crops and fast-maturing varieties can help farmers data to changing rainfall patterns and shorter growing seasons.